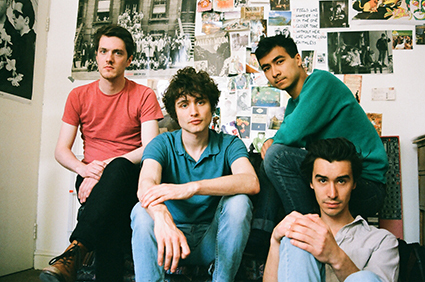 Newcomers Flyte are back with the second taster from their forthcoming 'Live' EP after wowing us with their debut Over And Out towards the end of last month. Still present are the joyous tones from their previous effort yet here we get a more sentimental side to the band as they acquaint us with heart-warming vocals backed by an aspirational drive of melodramatic synths and percussion. The bands debut 3 track 'Live EP is due out on September 16th in the UK on their very own Flyte Recordings. To coincide with its release they'll be hosting a launch party at The Waiting Room, 175 Stoke Newington High St, London. Tickets available here.